You must add a minimum of 12 8 Inch Soft Plastic Pineapple's to your cart. 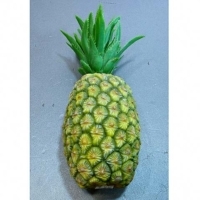 You can put some creative touch in your decors with our plastic pineapple. Pineapples are one of the best fruits to put on your table or kitchen, but you need one that won’t spoil. 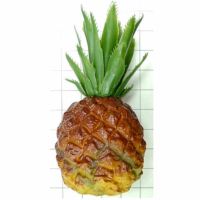 Use our realistic faux pineapple. This is one of the best items to choose from the Amazing Produce collection. 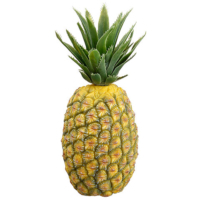 In addition, you can display this pineapple for years, as it will never spoil. Artificial fruits can be the perfect addition to your fruit baskets, fruit displays, and other decorations. If you need real looking pineapples, you can have them at Amazing Produce. 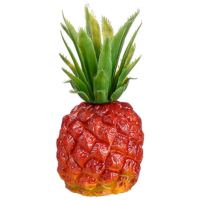 As we know pineapples are great for display, they are not perfect for long-term use. 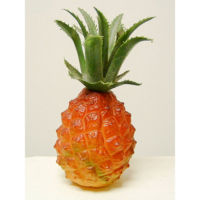 Amazing Produce offers artificial pineapples made with high-quality material to use for any decoration. As a result, they will last forever.